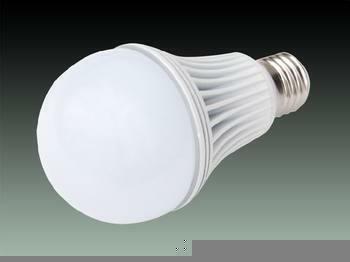 LED industry still faces high pressure from price reduction after entering the lighting times. LED factories invest in the development of unpacked chips. LED factories like Philips Lumileds, Toshiba, TSMC solid lighting, Jingdian, and Canyuan all introduced their unpacked chips one after another. Philips Lumileds introduced the technology of Chip Scale Package after Embedded LED chip by Jingdian and Package Free Chip by Canyuan. Philip is also the first one that developed LUXEONQ that is high power LED packing elements based on flip-chip. Unpacked chip technology is undoubtedly the focus of LED industry in 2013. The LED lighting process can be classified into 5 levels, in which level 0 is the process of epitaxy and chips, Level 1 is LED chip packing, Level 3 is LED wielding to the PCB, level 3 is LED modules, Level 4 is lighting source and level 5 is lighting system. Unpacked chip technology in LED factories is developing to level 1. In 2013, Philips Lumileds has been actively increasing their production lines not only set the production lines for layout of medium-low power products, but also formally introduced their high power LED packing elements, LUXEONQ, which is the high power LED developed by adopting the technology of flip-chip and Chip Scale Package by Philips Lumileds. Philips Lumileds newly introduced LUXEONQ by adopting CSP and flip-chip technology for high power and electrical current. It is said that the base board of blue stone has to be removed after application of thin-film flip-chip technology, the previous generation of Philips Lumileds, while this process is not required after Philips Lumiled. Taiwan LED chips manufacturers have actively taken steps in the development of unpacked chip products. Jingdian applied semiconductor process for new ELC products, for which the level 1 process including leading frame and routing can be removed and only use chips with packing glue and fluorescent powder by SMT. It is learned that ELC products of Jingdian have entered the backlight supply chain and can be used for lighting market. Canyuan also developed PFC products without packing and routing by applying chips of flip-chip technology. The advantages of the unpacked PFC chip products are their luminance efficiency that can be improved to 200lm/W and ultra wide beam angle design that is over 300 degree. The loss and cost of luminance efficiency have been reduced by applying the secondary optical lens.